How to convert PS to CGM in batches? You are here: CoolUtils > Total PDF to DXF Converter > How to convert PS to CGM in batches? PS, or PostScript, is a format used for saving image files that might contain vector graphics, raster graphics, and text. There are two ways of handling these files: they can either be printed directly by a PostScript printer or opened with such expensive programs as Adobe Illustrator CS5, Adobe Acrobat X Pro, Adobe Photoshop CS5, Adobe Photoshop Elements 10, ACD Systems Canvas 12, ACDSee Photo Manager 14, GSView or GPL Ghostscript. If you want to export PS files to CGM, a Computer Graphics Metafile format that can be processed in a wider variety of applications, you should try Total PDF to DXF Converter by CoolUtils. Unlike AutoCAD and other expensive applications, CoolUtils' PS CGM converter is priced at as low as $129.90, which compares to $1000 and up for AutoCAD and similar programs.Converting PS to CGM has never been so simple and affordable! 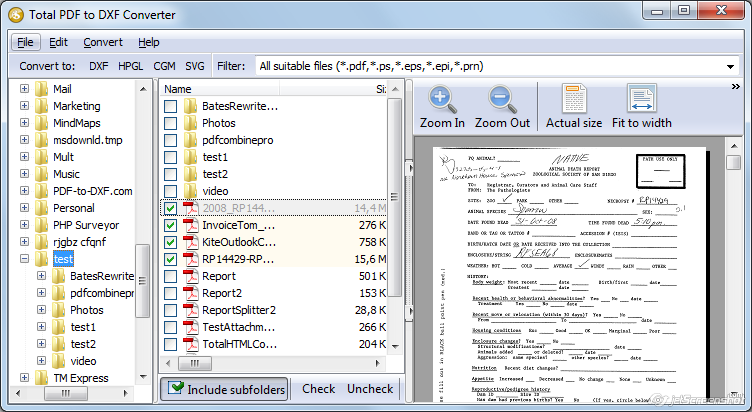 Total PDF to DXF Converter supports both PDF, PS and EPS files. Set CGM as target format by clicking on the button on the top bar that says "CGM"
With Total PDF to DXF Converter you can easily convert PS to CGM in batch. Thanks to batch conversion mode, this tool is perfect for processing up to 150 files in one go. Also, this tool is great for processing other formats. Supported input formats include but are not limited to PDF, EPS, EPI and PRN, while the supported output formats are DFX, SVG, CGM, and HPG. 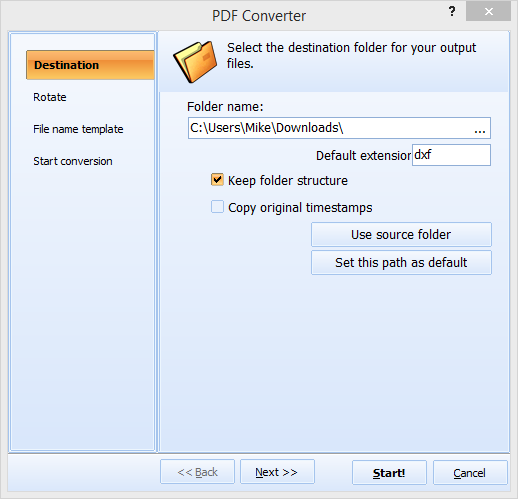 Download your free trial version of Total PDF to DXF Converter now and use it for 30 days!